I was in my first semester of college when the Mighty Morphin Power Rangers came on the air way back in 1993, so I wasn't really the target audience for this show... and yet I still watched it and absolutely enjoyed it. Yeah it was stupid, with silly plots mixed together with martial arts actions sequences that make little sense in the context of the story, but still... it had giant robot dinosaurs that transformed and combined into a giant robot. Plus, there wasn't a whole lot of Japanese shows on at that time and this show was half-Japanese, with all of the Power Ranger battle sequences and the robotic dinosaurs coming from the Japanese show Kyōryū Sentai Zyuranger. The basic premise of the show has five high school students that are chosen by a translucent floating head to defend Earth from an evil witch named Rita. They are given the power to have colored skin-tight uniforms magically appear on their bodies so that they can better use martial arts to fight the villains. Usually Rita first sends lackeys called Putties to fill time, since they have no chance of winning. Then she sends a unique monster, kinda like Robeasts in Voltron. These guys typically start out normal human size and when they first get defeated, or just because Rita feels like it, she makes them super huge (again, just like the Robeasts in Voltron), and so our Power Rangers summon their robotic dinosaur vehicles called Dinozords. 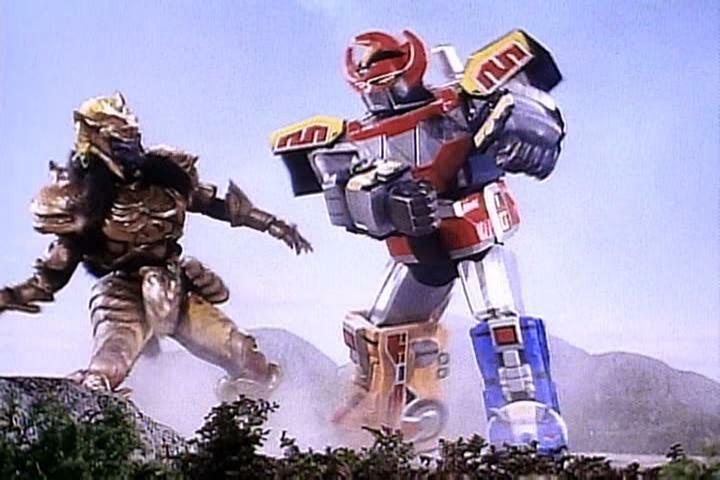 The thing about these Dinozords is that they are actually rarely used; the Rangers almost always immediately form into the giant robot Megazord in order to fight the giant baddy ala Godzilla-style with them play-fighting in a miniature city. At least in Voltron they tried to use the robot lions before forming Voltron. These giant robot vs. bad guy battles don't occur every episode, but they sure are funny when they do. Just imagining the actors inside those bulky costumes pretending to battle in a painted up cardboard city always puts a smile on my face. Oh yeah, and I almost forgot, the Power Rangers also have individual weapons, a sword, knives, a bow and arrows, etc., and all these weapons combine to form a more powerful weapon which the Red Ranger handles. These aren't used every episode either and really there isn't much point in them except to sell more toys. 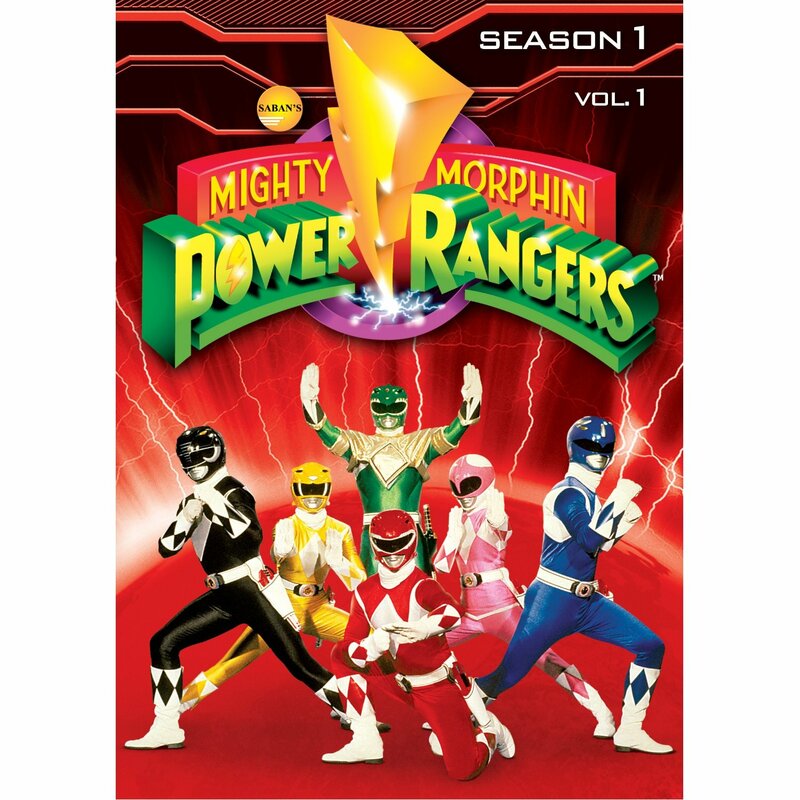 This DVD set contains the first half of season 1, which consists of 30 episodes. 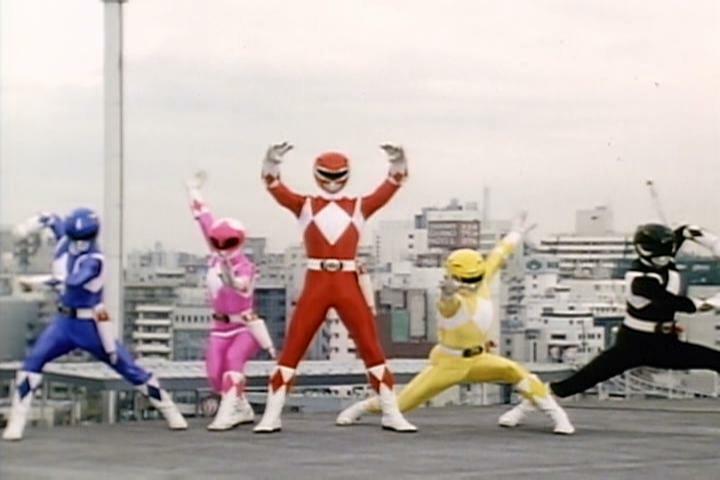 The five-episode "Green with Evil" arc is among the episodes, which is where the evil Green Ranger is introduced. This is kinda important because it introduces the character of Tommy who becomes a major player in the series later on. There are other side characters in the series, such as Mr. Kaplan the school principal, Ernie the wonder of the Youth Center, and the ever annoying Alpha 5, Zordon's robot assistant, by my favorites are the two bullies, Bulk and Skull, who are there for slapstick comic relief. The actors hit the characters spot on the head. The bad news about this release is that there are no extra features. None at all! I think it would have been great to have a featurette detailing the process and the challenges in creating the series and melding it with a completely separate Japanese show. But nope. Well, maybe when they do a Blu-ray release. Still, you get ten hours worth of entertainment on 3 CDs, which come in a standard size DVD case, so it's not a bad deal at all. Just would have been nice to have some extras, that's all.